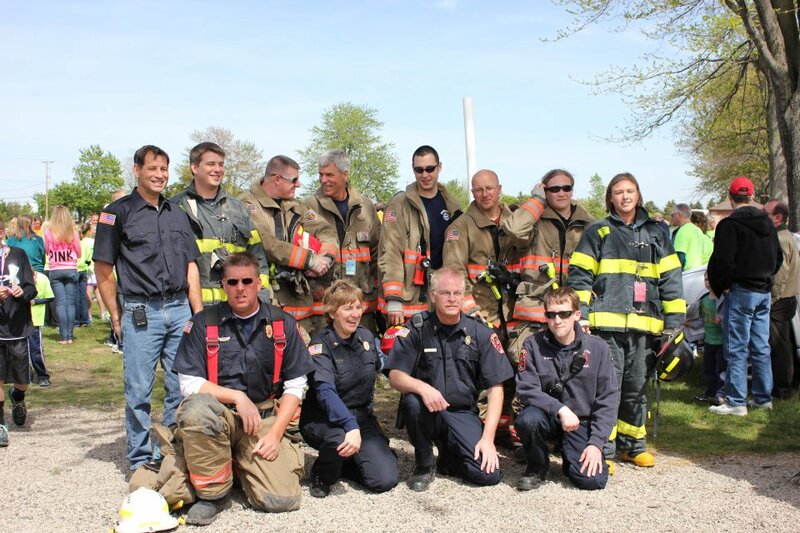 HISTORY OF HOW THE RICHFIELD TOWNSHIP FIRE DEPARTMENT CAME TO BE. Before 1943, Richfield Township and the Village of Berkey had very little in the way of fire protection. If a fire broke out anywhere in the area, Metamora or Sylvania Fire Departments were called. Since they were miles away, the arrival of a fire crew was often too late to save someone’s home or barn. The Berkey Lumber and Grain Company, or “Berkey Elevator” as it was known, realized the need for some sort of protection. They actually organized a fire brigade using their employees as volunteers. 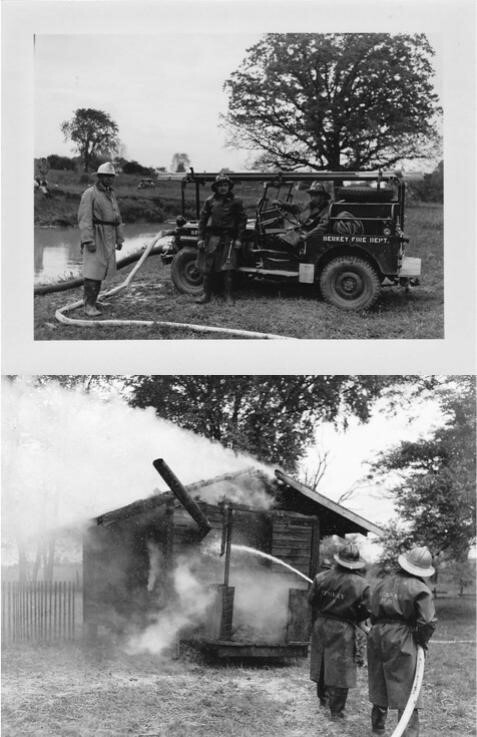 Whenever a fire was reported these men would load fire extinguishers and water buckets on a company truck and rush to the scene. They would battle the blaze until neighboring fire departments would arrive. This type of firefighting was certainly unsatisfactory and the very real danger of a fire tragedy was always present. It was the year 1943 when a group of men in a small community saw a need and decided to do something about it. 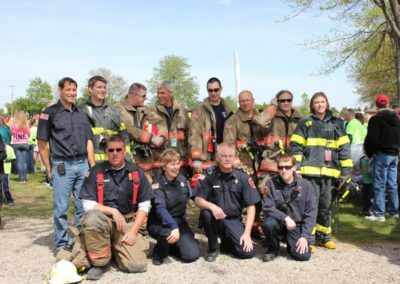 They set out to provide fire and rescue services to the residents of Richfield Township and the Village of Berkey, Ohio. The following was taken from the 1993 annual report titled, “The 50th anniversary of the Berkey Fire Department in Richfield Township”. It was written by past Fire Chief James Farley and he couldn’t have said it better. 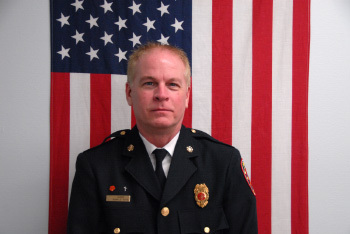 The recruitment of firefighters was explained below by Pete Durbin in his publication “Berkey Auxiliary Fire Department, Richfield Township, Civilian Defense Corp”. “William (Bill) Farley and Otis (Stub) Clough had a spaghetti supper for several young men in the area. Those who came, were from Richfield Township, the Village of Berkey and from Riga Township in Michigan. By the end of the evening, the idea of a local volunteer fire department had been explained and the new recruits had signed on”. On December 8th, 1943 John Sanderson, Jim Schwen and William Farley picked up equipment at Oregon Township Fire Department and brought it to Berkey. It was stored in Pete Janney’s two bay garage at the north end of his store (the present Keeler’s Korner). 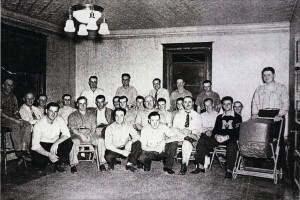 On December 10th, 1943 a dream came true for 30 men with the official formation of the “Berkey Fire Department”. 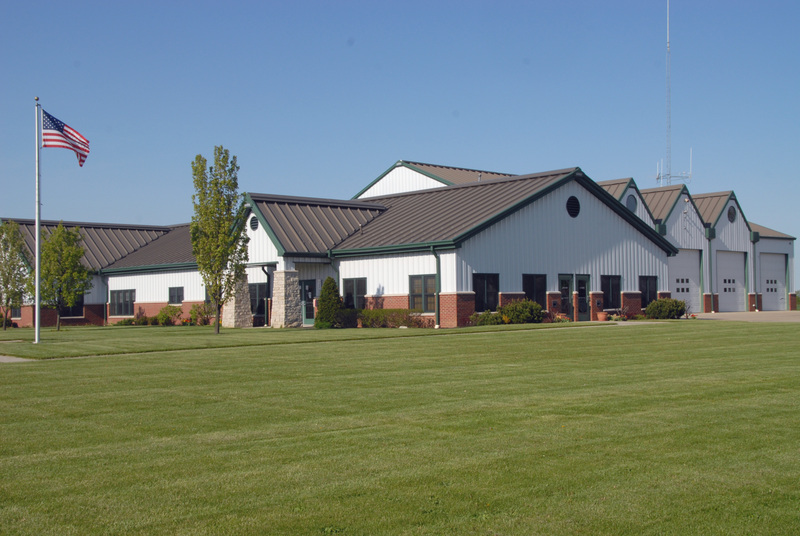 The Richfield Township Trustees agreed to create the fire department for the community and pay for the equipment the department needed to get started. This made the department a Public department, depending on area taxes for its support. 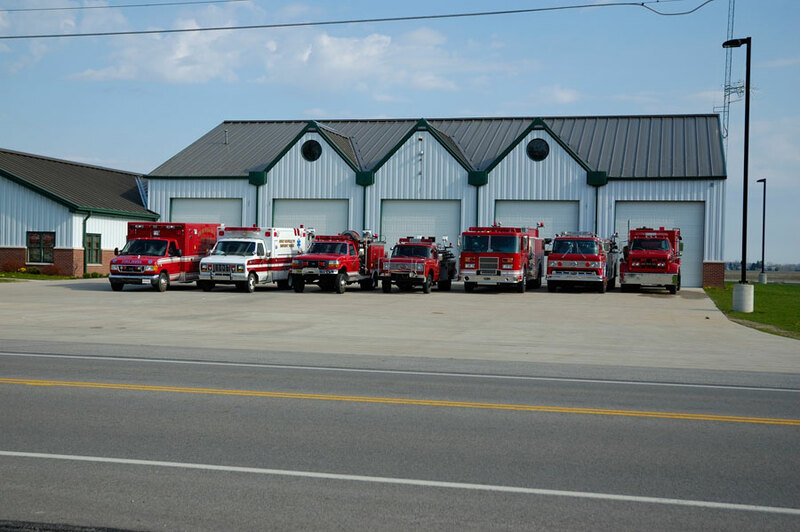 The Village of Berkey agreed to pay 500 dollars a year for fire protections. Regular meetings were held and the department began to make plans for the future. The meetings were held above Pete Janney’s Store above the garage where the equipment was stored. If someone needed the fire department they called Pearl Rowan, the telephone operator. She would plug in all the firemen’s phone lines together and ring the phones ten short rings. John Sanderson, one of the firemen would set off the siren, an old steam whistle located on top of his gas station. The first fire run was July 15, 1944 for a wheat stubble fire on the John Zenk farm. 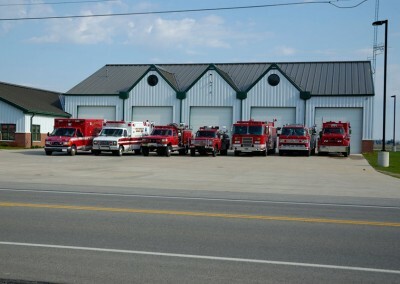 The firemen were determined to help support their newly developed fire department by creative fundraisers. In 1945 they hosted 8 dances at the “Old Fellows Hall” in Berkey as a way to raise funds for equipment and a future station. Other fund raisers included collecting scrap iron and newspapers which were in demand because of the war. 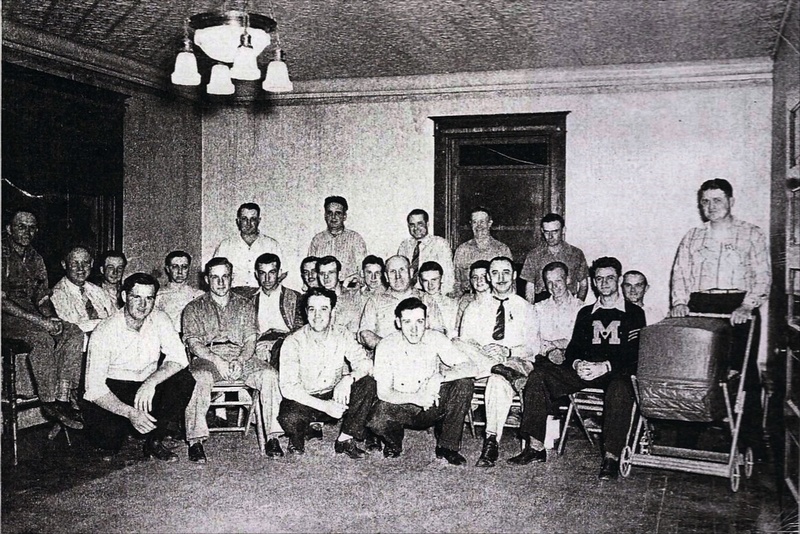 In November of 1945, the department hosted their first major fundraiser which is still a tradition today. The first “Feather Party” was held at “Ott”s Warehouse” (located at the southeast corner of Sylvania Metamora and Berkey Southern Rd.). There were many prizes to draw the crowds including a refrigerator, washing machine, mix-master, 100# of sugar and a hunting coat. Two residents, Herman Bell and Frank Schmitz donated the land where the first station was built. The members were able to start construction of the first fire station. In 1948 the fire station was built through the determined, enthusiastic tireless efforts of its members. It was located on a lot north of Sylvania Metamora Rd. on Berkey Southern Rd. The department members continued to work hard at fund raisers to assist with the funding of the new station. They were responsible for the majority of the labor which enabled them to build the station with limited funds. 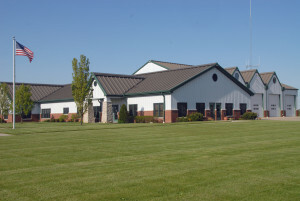 After legal consultation in 2002, it was decided to change the name to Richfield Township Fire Department. A new station was built in the center of the township in 2005. Today we have 2 firefighters on duty during the day. The volunteers continue to respond to emergencies 24 hours a day, (7) seven days a week.